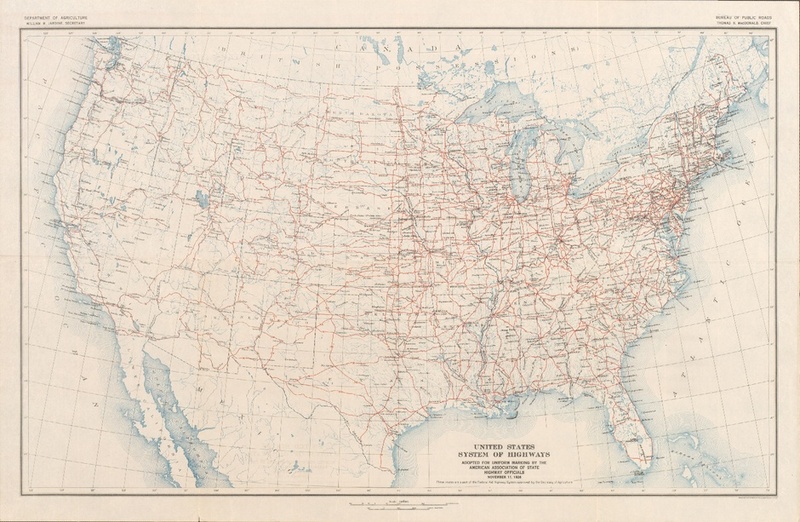 How American highways got their numbers – Life moves pretty fast. The government stayed out of the highway business at first, but rising car ownership (over registered by 1930) and inconsistent road maintenance from trail to trail quickly changed that. 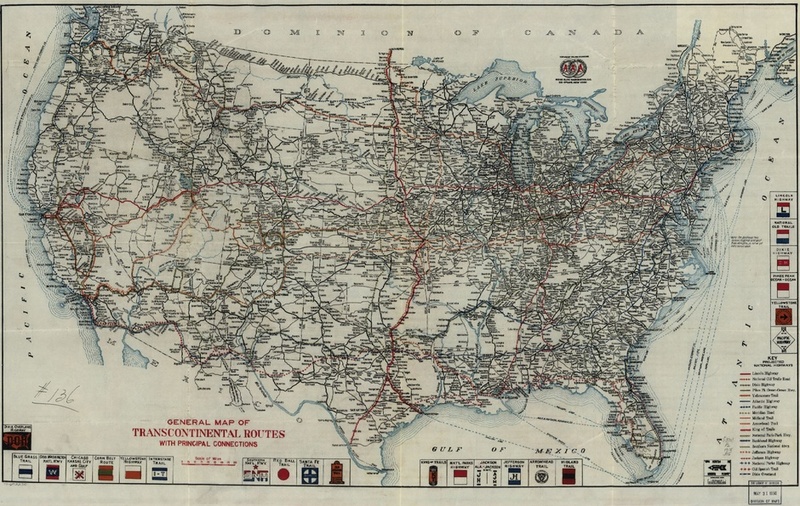 In fact, some trail promoters failed to keep their roads in good condition on purpose, under the assumption that the Feds had plans to turn their route into a national highway.As the Federal Highway Authority explains, businesses along these routes typically paid dues to the trail associations, which meant routes weren’t always laid out to give drivers the quickest route, but instead to collect the most dues. There were over 250 such routes established by the mid-1920s. In 1925, the American Association of State Highway and Transportation Officials (AASHO) asked the Secretary of Agriculture to work with states to replace all trail names with a unified highway numbering system. Most of the trail associations disapproved, but after negotiations over which routes got which numbers (for the most part, north-south routes got odd numbers, and east-west routes even numbers), the new system became official a year later. Reduced to nothing but a number and often dependent on government assistance for upkeep, the booster organizations behind the trails quickly became irrelevant. Ever since then, an iconic black and white shield (modified slightly over the years) has been telling drivers where they are and where they’re going in the simplest way possible. Thirty years later, of course, the Interstate Highway System debuted, meaning not only a whole new set of numbered roads, but much better ones too.